Mike Taylor is the broker/owner of Red Door Real Estate and has been in the real estate business for 10 years. A resident of Indianapolis, Mike launched Red Door Real Estate in 2008 with the mission of providing the best customer service to buyers and sellers in the Indianapolis real estate market. Embracing technology to provide better service and better results for his clients was and is a cornerstone of Red Door Real Estate. Despite the struggling real estate market and overall economy Red Door Real Estate has enjoyed great success and growth thanks to our great agents, teamwork, and great online presence. Mike is a husband, and proud father of two boys with which he loves spending spare time. Mike grew up in San Diego, CA and moved to Orlando, FL where he graduated from The University of Central Florida. After obtaining the unique degree of Anthropology with a minor in Computer Science, Mike embarked on his real estate career and has never looked back. He made the move to Indianapolis after the strong and frequent urging off his wife to move back to where she was from :) He has built Red Door Real Estate from the ground up and has had great success in Indianapolis where he enjoys providing the best possible service for every client he works with. Moving from Toronto, Canada to here, we cannot begin to adequately express our deep appreciation and gratitude for all that you did to find our "Dream Home" for us. Your very high level of expertise, knowledge and professionalism very much impressed us, we are also continually grateful for your warmth and heartfelt friendliness during our home search. We felt very comfortable and enjoyed the house-hunting with you. Your expertise, knowledge, and possible future value on the house after we visited each one helped us a tremendously. I am firmly convinced that we got the best Realtor. Thank you for your outstanding job and hard works that you did. We are now happily settling in and are so glad we found you on the internet. We will be sure to recommend Michael Taylor to any future home buyers we know. I just wanted to let you know how grateful Diane and I are for you help and advice during our move to Indiana. The daily updates via the internet with the latest listing gave us a tremendous opportunity to view everything available. This was priceless as neither of us had our bearing(s) on the areas that best served our needs. Many of those stressors that are all-to-common during a time of transition were eliminate by having a â€œgo-toâ€ person that who was looking out for our best interest gave us â€œpeace of mindâ€. We truly appreciated your honesty, candor, advice and most importantly your friendship. We have begun the landscaping and most of the painting is complete. Please stop by when you are in the neighborhood to see the progress and a little fun with the kids. After researching the internet, it was an easy choice for me to decide to work with Mike Taylor. Working with Mike is a very positive experience due to his knowledge and patient professional personality. Mike is never pushy or self centered like many agencies and he keeps his clients best interests paramount. I would highly recommend Red Door Real Estate to anyone looking to purchase real estate in the future. 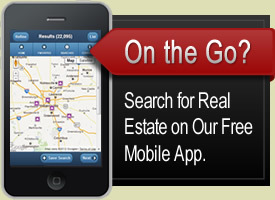 I could not be happier with the service, better then I have ever received when purchasing real estate.... I would use Michael again. He always put my wife's and my interests ahead of his convenience, making sure we got what we wanted, even if it meant sacrificing his personal time or letting an offer go unaccepted because of unreasonable sellers. His listing of our house has been fantastic, he is performing marketing efforts that other agents wouldn't ever consider spending money on, including mass mailings featuring our home. He is probably the best agent your going to find hands downs. The thing that most impressed us about Michael was his professionalism. He was always on time for meetings and followed up with the less than cooperative seller we were dealing with. I would not hesitate to use Michael again or to recommend him to friends. With Michael you get a professional experienced realtor. Thanks Michael! â€œHaving recently moved from Pensacola, Florida due to employment requirements, my husband and I really didn't know where to start in looking for a home. We tried to find a home on our own, but quickly realized that we literally did not know the lay of the land and that a professional in the real estate business would be a valuable asset to our finding the perfect home. Throughout our house-hunting Mike was always professional, patient, knowledgeable and never tried to pressure us to make a decision. After experiencing so much turmoil from relocation, Mike's pleasant, professional attitude was very much appreciated. He was even wise enough to point out to me at one point that a house I said I wanted may not be the one for us, which of course meant he lost the sale. However, he was so right because I was getting a little anxious just to find something. However, his patience prevailed and now we are living in our dream home. Thanks Mike. Coming from California as new buyers in a very soft Indianapolis real estate market, my wife and I were particularly concerned about hooking up with a knowledgeable, professional, straight-shooting Realtor who was, above all, a good listener. As a real estate broker in California, my view of picking someone to represent us in Indianapolis was understandably going to involve a good deal of skepticism. I would not have engaged his services had I not discovered him to be very personable and easy to work with, extremely knowledgeable about the market, and willing to put in the extra miles both before and after our home had been found and the contract had been inked. In short, Michael Taylor surpassed my expectations and I would not hesitate to recommend him and his company to others. If you're looking for a good, solid Realtor, youâ€™ll do yourself a favor by contacting Michael Taylor. It's as simple as that. success with them. After switching companies my house sold within the first few weeks."